A compact bucket bag with an adjustable strap to wear over the shoulder or cross-body. Carry your jumper, books, devices, and lunch. 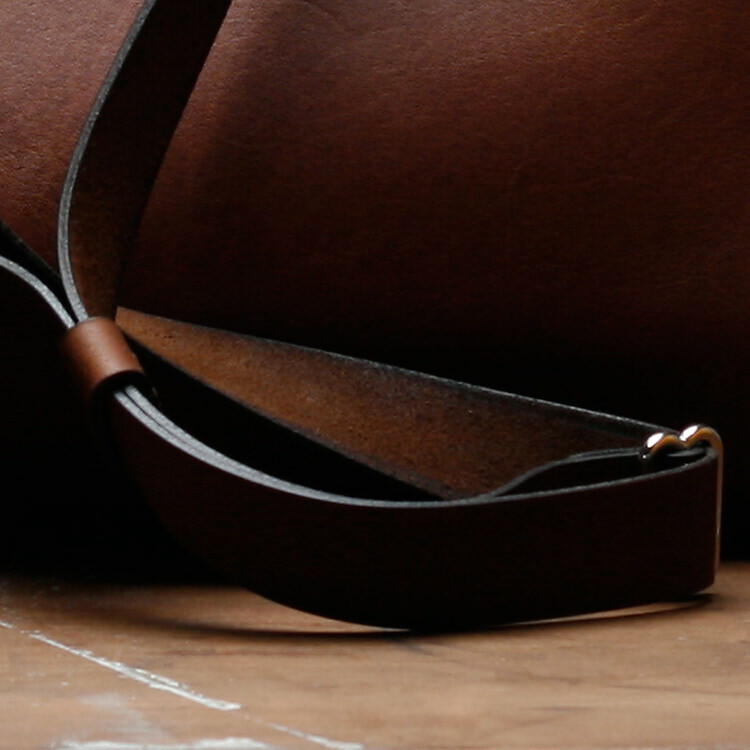 One large compartment, with internal pocket, and brass button closure. Made from New Zealand Full Grain Cow Leather, Solid Copper Rivets, and an adjustable shoulder strap with Solid Brass strap adjuster. Internal Pocket —Fits all phones, notepad/bits/bobs, stitched to the rear panel of the bag. Easily adjust the length of the strap to wear it high, low, or across the body. 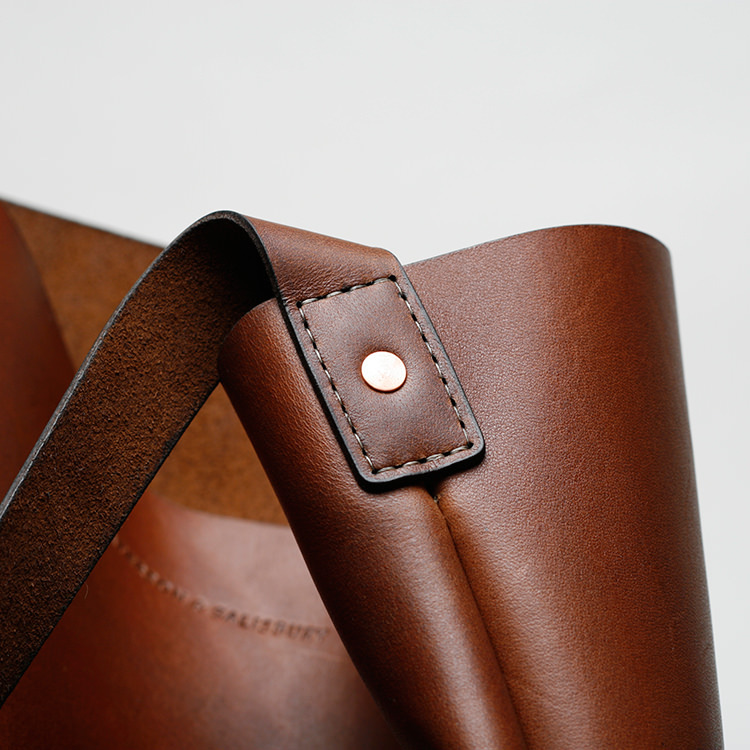 All straps are cut from specific parts of the hide for strength and stiffness. Used at a premium, selected to age beautifully. Brass ages naturally with warm yellow hues and no risk of plating damage.